*If this item is shown as back-order, it might take 2-3 weeks for us to restock it. In this case, we will inform you via email. 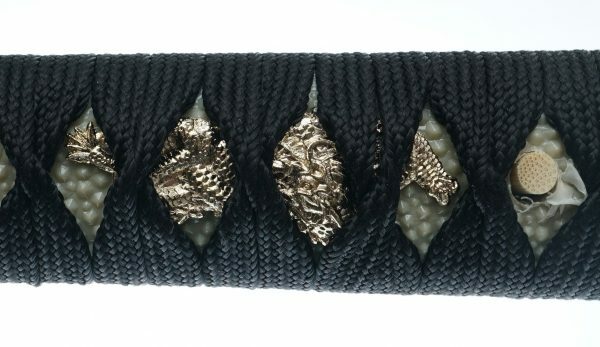 The original design of this replica sword was forged by MITSUTASA, who was known as one of the greatest swordsmiths, living during Kamakura period (1185 AC-1333 AC). 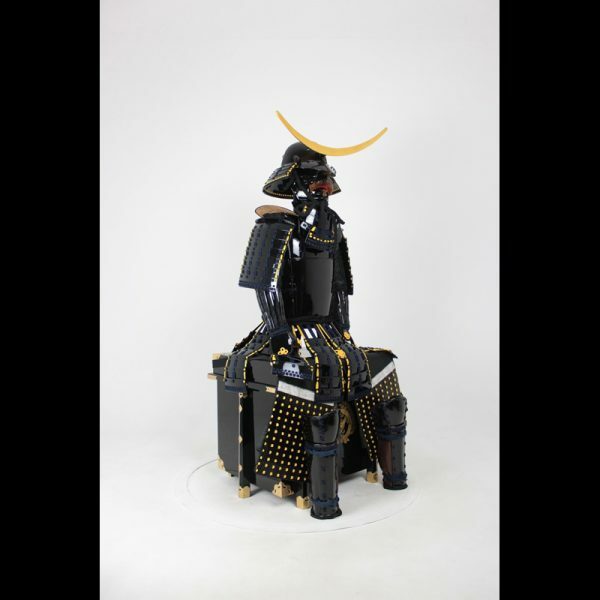 It is said that the sword was used by the famous warlord 伊達政宗(Masamune Date) to punish one of his servants. 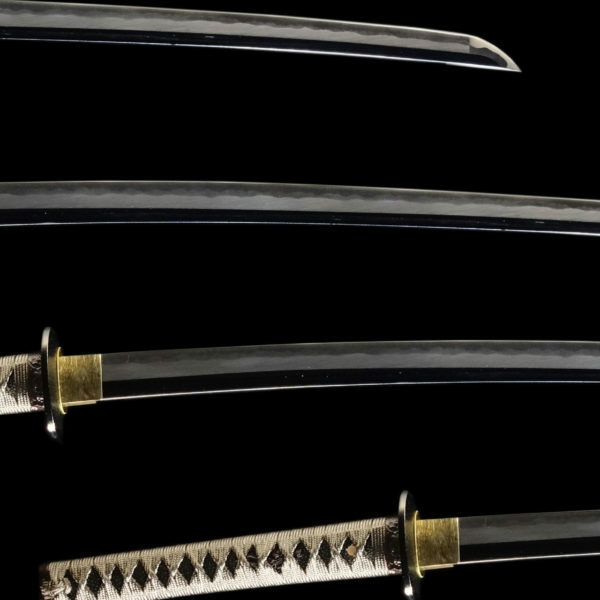 The sword was so sharp that not only the servant but also the candle table made of copper where he hid was cut in half. 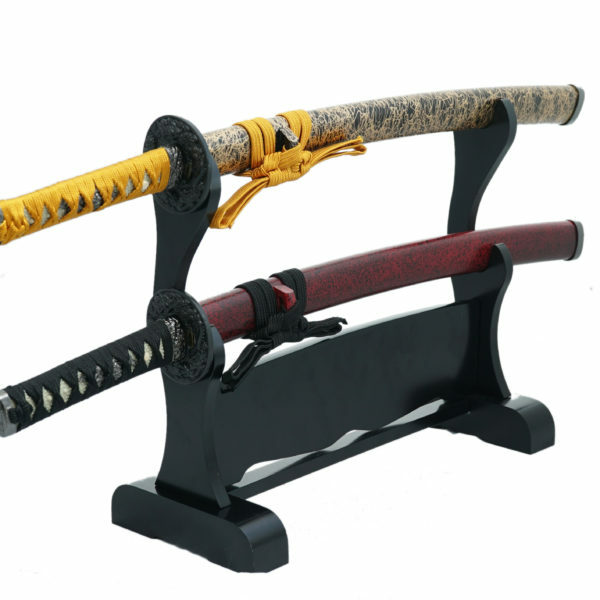 *The sword stand in the picture does not come with the sword. 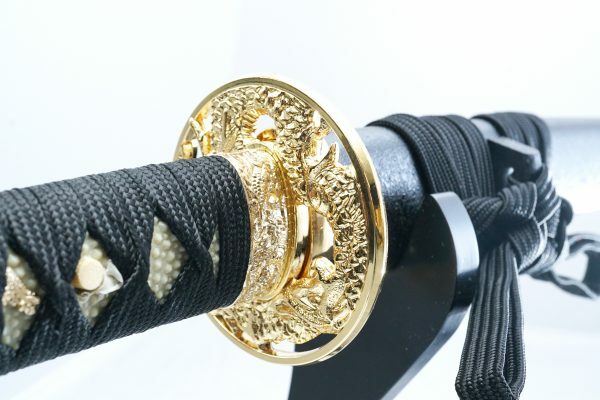 1、Although this is a replica sword, you could hurt people if misused. 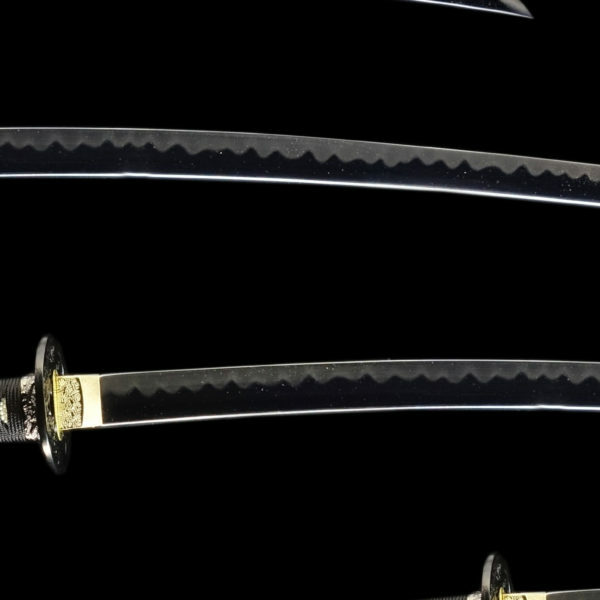 2、You cannot disassemble or adjust this sword. 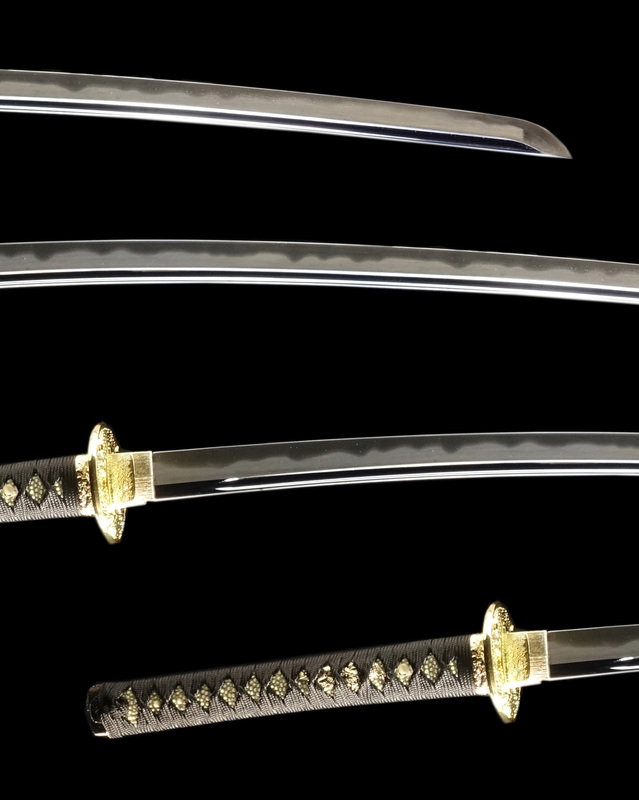 Here is the list of countries where we have information that customers cannot import replica swords. 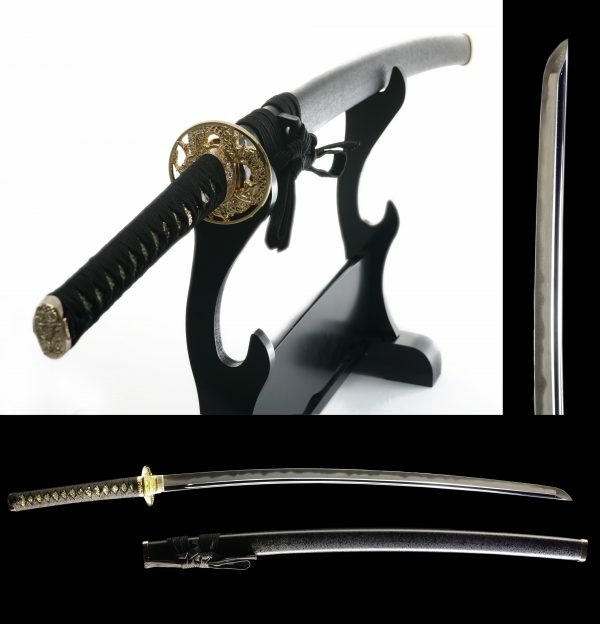 We would not be responsible if the custom seized the sword you had purchased from us under any circumstances. 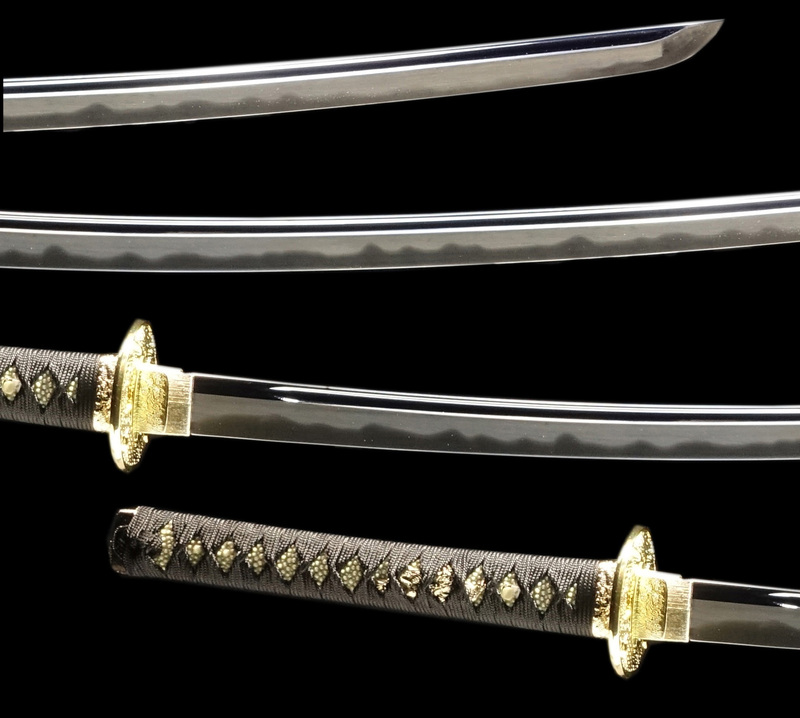 Please make sure the country in which you live permits you to import replica swords before you make a purchase. On a further note, sometimes you will be required to obtain a document from your legal authority to receive a replica sword.We can answer which countries we have successfully shipped before if asked. If you like to make sure if we have stock of a sword you will order, please contact us first before you make a purchase. 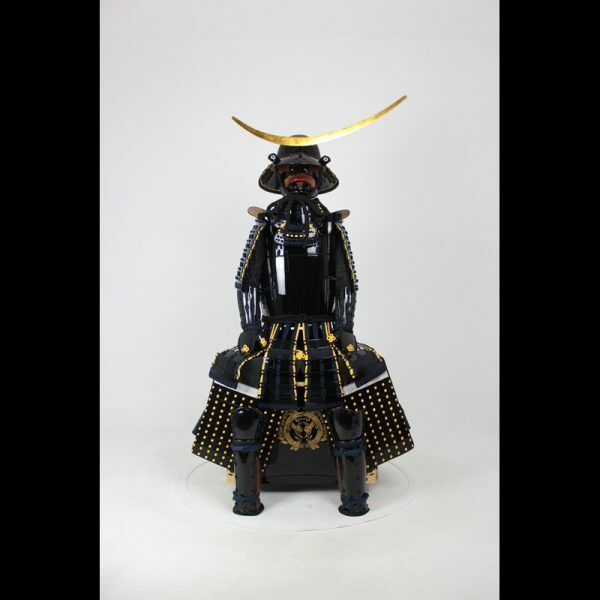 Made in Japan Free Shipping Worldwide 95 cm/77 cm/ 165 cm *when you display on the box *1 inch=2.54 cm Size : Width /Depth/Height *Main parts are made of iron. *It is available on request. 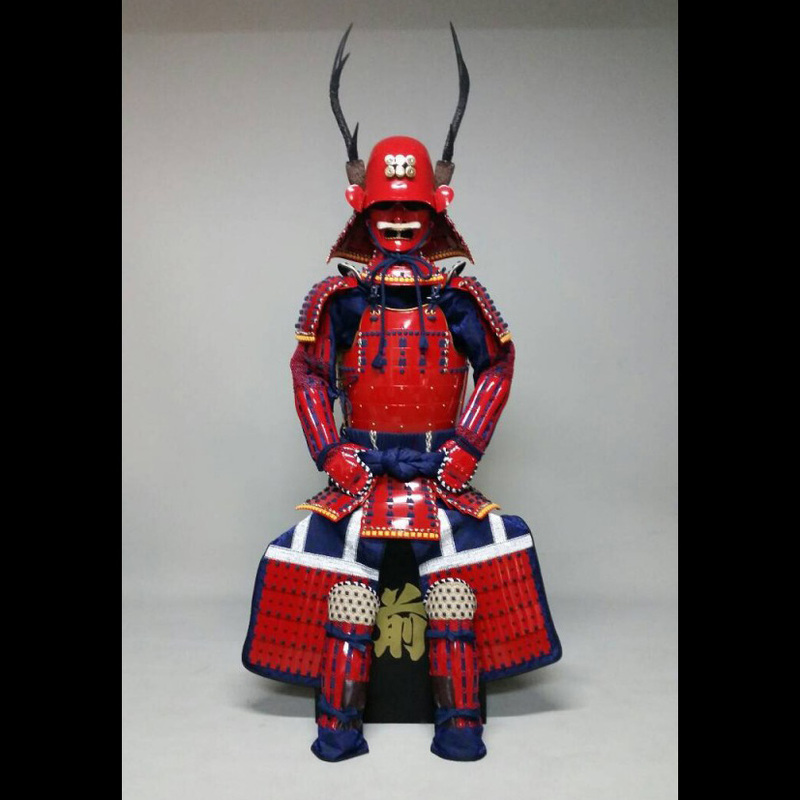 It takes about one- two month to produce this armor. Made in Japan Free Shipping Worldwide ■Size : Approx. 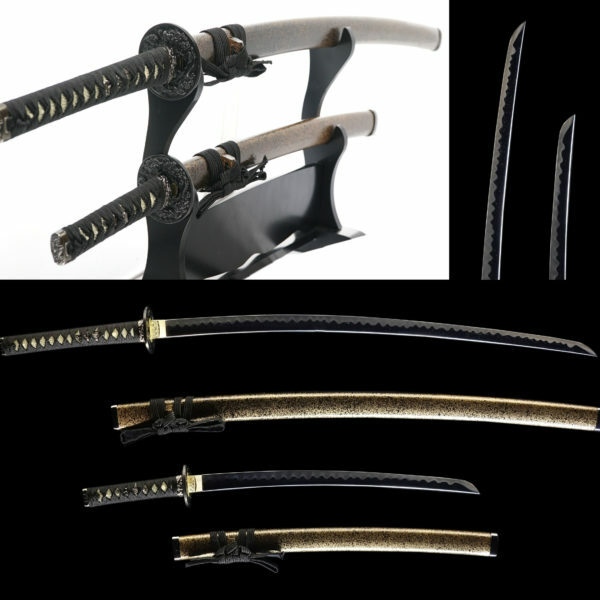 78cm” blade, 30cm” handle & overall 108cm ■Weight: Approx. 1.2kg (1.5kg including package weight) *1 inch=2.54cm, 1.0 kg=2.205 pounds *if this item is shown as back-order, it might take 2-3 weeks for us to restock it. In this case, we will inform you via email. Made in Japan Free Shipping Worldwide Long Sword ■Size : Approx. 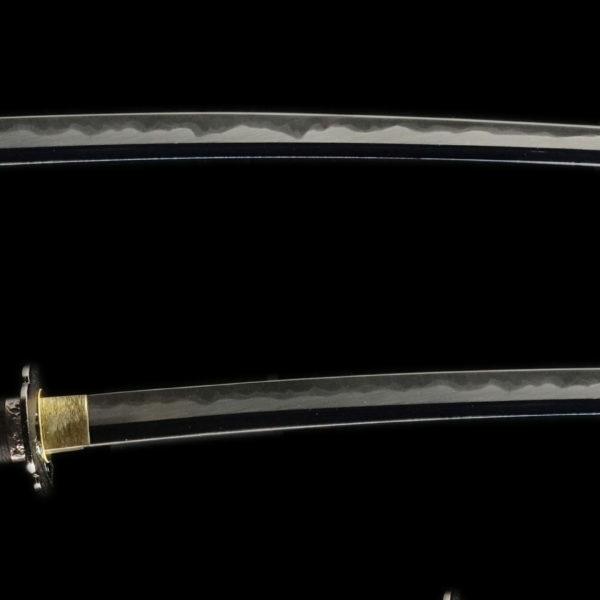 78cm” blade, 30cm” handle & overall 108cm ■Weight: Approx. 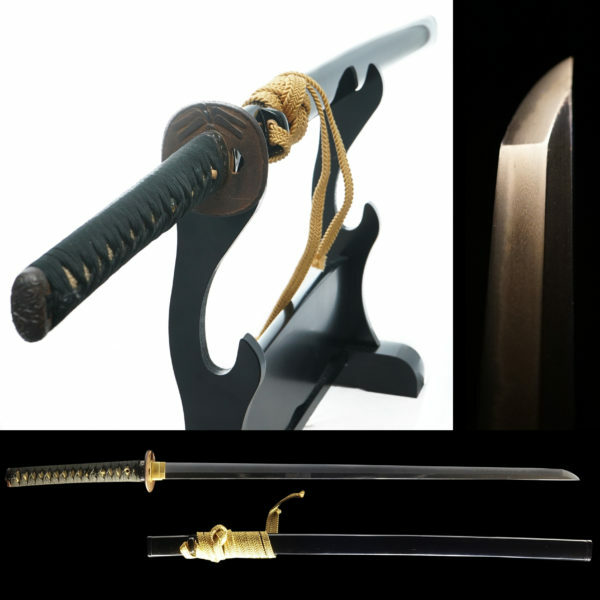 1.2kg (1.5kg including package weight) Short Sword ■Size : Approx. 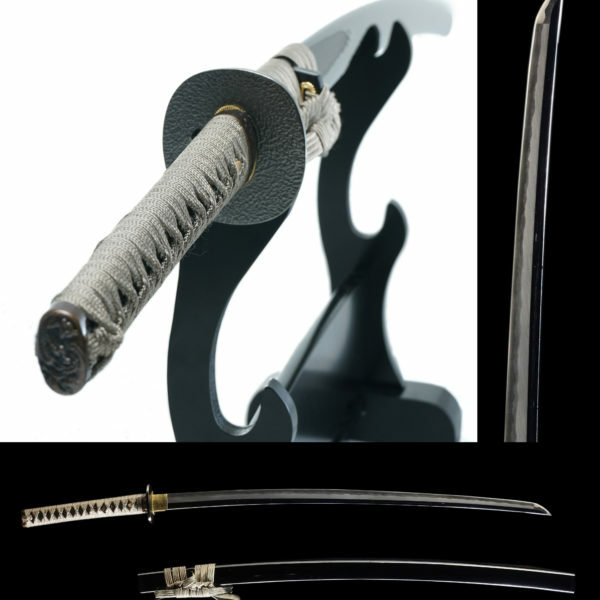 52cm” blade, 18cm” handle & overall 70cm ■Weight: Approx. 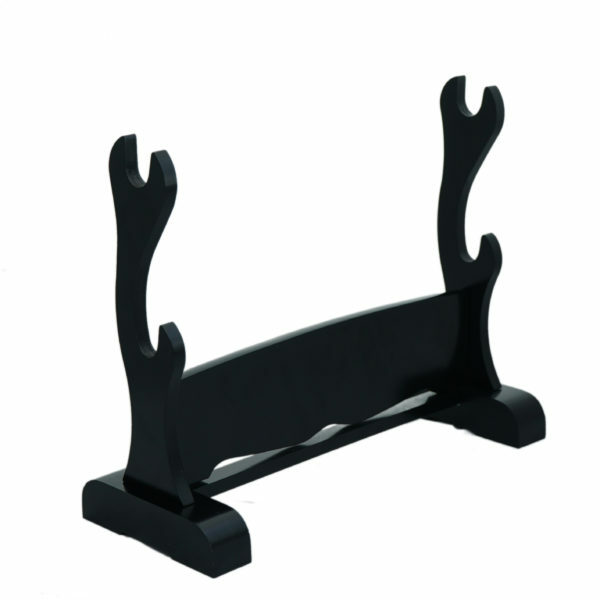 0.9 kg (1.2 kg including package weight) *1 inch=2.54 cm, 1.0 kg=2.205 pounds *If this item is shown as back-order, it might take 2-3 weeks for us to restock it. In this case, we will inform you via email. Made in Japan Free Shipping Worldwide ■Size : Approx. 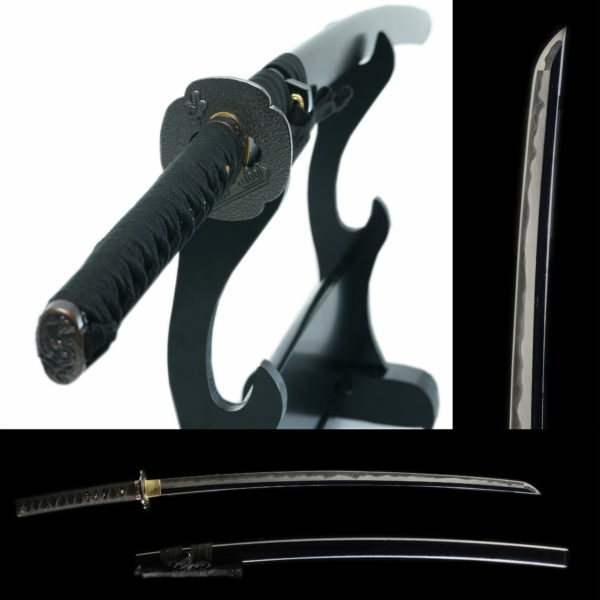 78 cm” blade, 30 cm” handle & overall 108 cm ■Weight: Approx. 1.2 kg (1.5 kg including package weight) *1 inch=2.54 cm, 1.0 kg=2.205 pounds *If this item is shown as back-order, it might take 2-3 weeks for us to restock it. In this case, we will inform you via email.